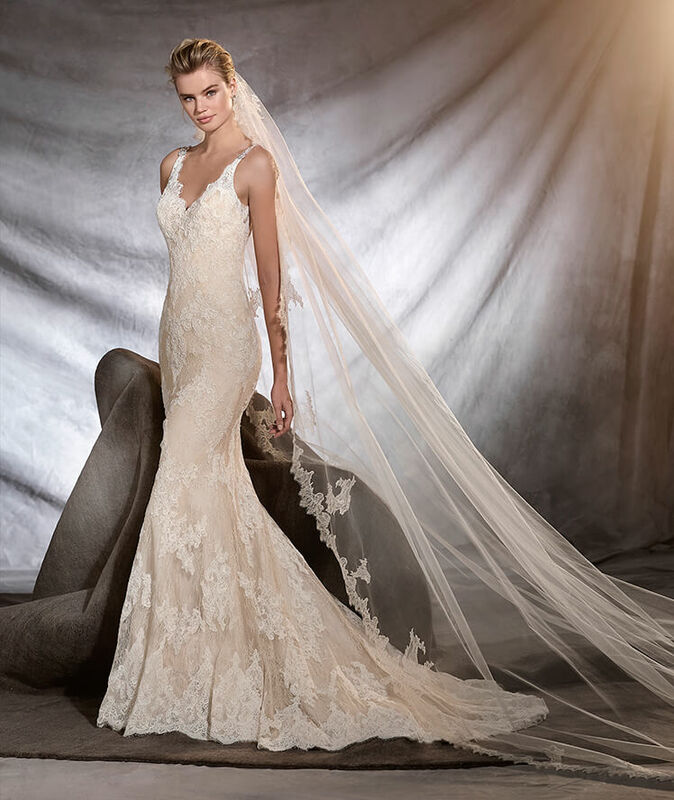 Our Instagram Viewers select the three stunning gowns you would love to see. They are from our Pronovias Collections. Tibet from our Pronovias Collection. 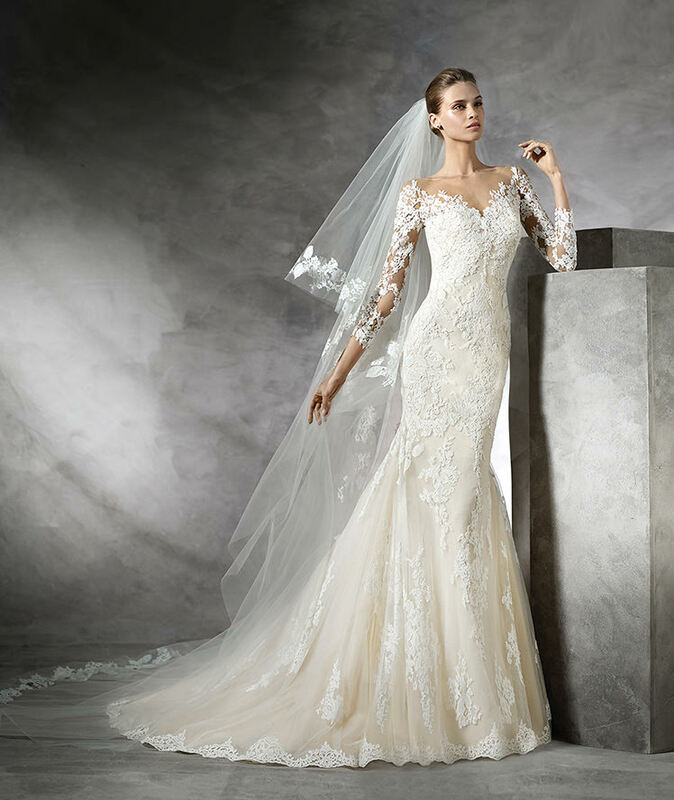 LOVE this gorgeous floral lace all over the body of this magnificent gown. Maricel from our Pronovias Collection. Such a classy mermaid gown look in lace with V-neck and plunging back. Pronovias Osera. Every single Bride wants to hear that she is so ravishing, glamorous and stunning wearing this gown.